Labels: Blog Community Participation, Grandson of a Slave, Ike Ivery, James E. Lewis, Midway Alabama, President Barack H. Obama, World War Two Black Soldier. 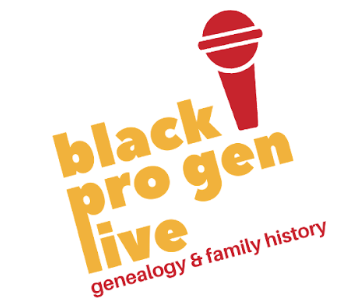 I was honored to GuestBlog on "Black Presence", about my Family's Military History. I wanted to share with you that didn't get to see it on other sites. Labels: African American Soldier, Black Soldier, Colored Troops, Colored Units in the Army. 470th Amphibious Truck Unit. WW2., Ike Ivery, James E. Lewis, Midway Alabama, WW2. Well..... what do you want to know? My answer is always, I want to know EVERTHING ! I got to try to find as much as I can. 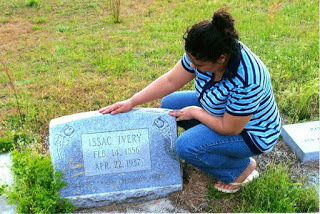 I think of EVERYTHING about Granddaddy Ike Ivery born in 1853. I want to know what his dreams, his hopes, his fears, even what his prayers were if that would be possible. There is no one thing, or a few things to get straight. I look for clues everywhere. I want to know EVERYTHING! Last night Rev.Al Sharpton interviewed and asked Mrs. Mrylie-Evers Williams, she is the widow of Mr. Medgar Evers. What did she want everybody to know about Medgar Evers? She is giving the three minute Convocation at the Inauguration. Her answer was: EVERYTHING!, EVERYTHING!, EVERYTHING! Learn EVERYTHING. Learn about the whole person as much as you can. Examine every aspect of their life to get a full story. Since 1870 Granddaddy Ike you have been leaving your footprints in Alabama. I've sort of been let on the loose to find them. Put my feet in your shoes, to walk the walk. I knew exactly what Mrs. Evers-Williams meant. I want to know what they did to you when you walked the 434.5 miles from somewhere in South Carolina to Midway, Bullock County, Alabama, were you would eventually grow up and make your home. I hope it wasn't to much of a struggle and they let you jump on the wagon or a ol'mule from time to time along the way. How many weeks or months was that trip? They didn't smart mouth or beat you for any reason, did they? Did you meet other slaves along the way? What was it like at night along the route? What did you see? What was on your mind about the future? Did you think you'd ever be free? What happened the day Freedom came for you? I'm glad you got to be with your Parents, William and Minty, after 2 census's I can't find them nowhere. Granddaddy Ike, I want to ask you where in South Carolina we come from? The oral history from your Children passed to Grandchildren keep passing that info on. I'm always trying to find the documents. I advanced myself taking a DNA test just to get closer to you. That opened up a whole new World! But don't worry! I prayed over it. I was gonna be satisfied with whatever the outcome was gonna be. I had you on my mind the whole time. This is all I thought I had of you, from the ground. In reality, your blood runs through me and you left me so much more. I see you through your Grand children's eyes. I didn't get to meet your 23 children. Even my own Daddy. He's passed now, he kept you and your Daughter Eddie Lee alive in all of our hearts all the time. That is why we know ya'll so good. Why you had to be born so long ago? I didn't get to sit up on your lap, smell your snuff, help you shave, or keep you toenails trimmed, bring you some of your daughter Eddie's sweet potato pie. Just a simple walk around the land hand in hand on Pruitt Place. I just know I would of been your favorite, sitting around listening to your stories of slavery. In 1908 The state of Alabama did an Assessment Report for you and I saw your Pocket Watch value.Who you were staying with on Pruitt Place. You left me a lot of goodies to play with. 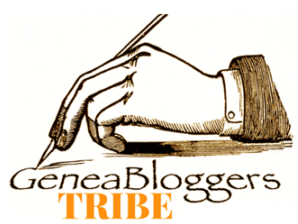 Marriage licenses, death certificates, census's. 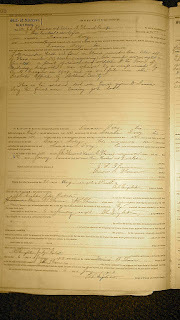 I loved the deed where in 1912 you bought land from J.L. and Winnie Thomas. I'm still trying to find them and the coordinates of your property to see exactly where it's at. I'll get that done next trip down home. Your two sisters. Isabella and Rosanna. It took me forever to find Belle! 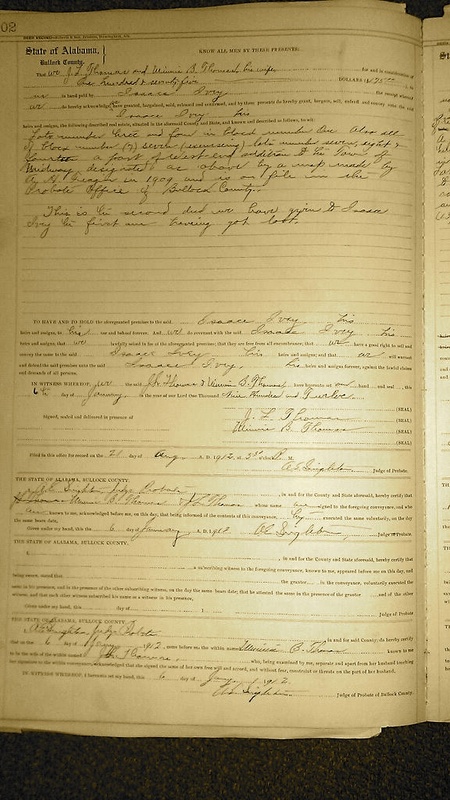 Named on a application of marriage, she was getting married on your Father William's property, so that told me he was still living at least until 1881. She was marrying Charles Haynes. Was he related to my grandma Mary Haynes, your 1st wife of three legal marriages? Was he her brother? Rosanna married Charles Ford and I couldn't locate them also. What happened to your sisters? Did they leave Alabama? Can't find your brother's also. How long did your Parents live? Where are they buried? Aunt Sallie Bea your Granddaughter told us of the story of when you passed. You was sick for a short while and you passed in your sleep. They had you laid out in what they called the parlor room. Everyone had to go through the front room to get back there. Aunt Sallie Bea said she couldn't see you as she had to babysit the children. But she remembers you lying up in there in state for a few days. The bells of Mt. Coney which you helped get built, were released into the community to let them know death was in the family. Daddy was 19. He had to be strong for his Mother, who was so close to you. I know this about your relationship and find it befitting she is buried next to you in death. We didn't see it as a suffering or lost. You passed away in 1937 well before any of us where born.We got to spend time with other grandparents. Sam and Queen Daniel Miles. They did the best they could in loving us. It hit me in 1977 when Grannie Queen died. I saw the pain and grief. My Mother never got over that, no matter how many celebrations we had, that hole was in her heart from that day forward. That is how I feel now that she is gone. Everybody is just about gone now. I have to try to put the pieces together one by one. So that our future generations can have as much info as they need to get to know you too. There will be times when I don't have EVERYTHING, but that will be suffice. I'm dedicating a lot of time through research, trips to courthouses, mail requests,oral history interviews to keep your memory alive. No matter the struggle or hard it was. Your Living was not in Vain. Not while I have a VOICE! As far as you Granddaddy Ike and the rest of the Ancestors, ones I find, the ones I don't know yet. I want to know EVERYTHING! I expect you to be on the other side of Heaven along the Jordan River, I know you can't help me to cross. But I put my hand up over my eyes as the sun is ever so bright, but I can see you Granddaddy Ike, with your Momma and Daddy, Grandaddy William born in 1812 waving me over. I know then I'll get all my QUESTIONS answered. Talk to you soon in my Dreams or while I'm Awake. I know your just short, around the bend for me. Labels: Genealogy, Ike Ivery, Midway Alabama, Notes to Myself. Rev. 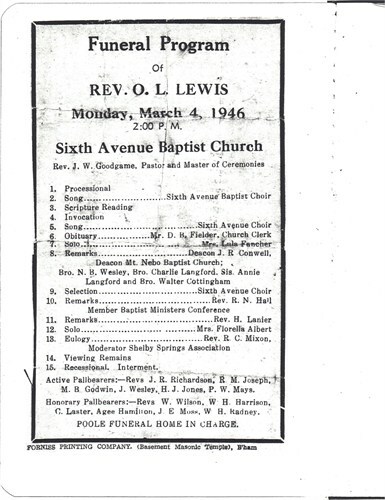 Obie L. Lewis.......... My Daddy's big brother........Daddy kept Uncle Obie alive by this photo. I think this might be one of the "oldest" obits I have. Hopefully not, but at the moment it is. It wasn't until Daddy passed, I found this obit in his WW2 footlocker. He was 13 years older than Daddy and more of an influence on him then Uncle Obie would ever get to know. There is so much I have to learn just from his Funeral Card Obit. Poole Funeral Home is still in business since 1936 and they have been Thanked and Helpful in so Many ways. They have served the community through many trials and tribulations. Especially during Civil Rights. I know Uncle Obie is buried in Mason City Cemetery which is now New Grace Hill Cemetery in Birmingham, Alabama. I have to get more history on the church and a lot of other unanswered questions. I will keep moving forward and adding notes to his bio as I learn. 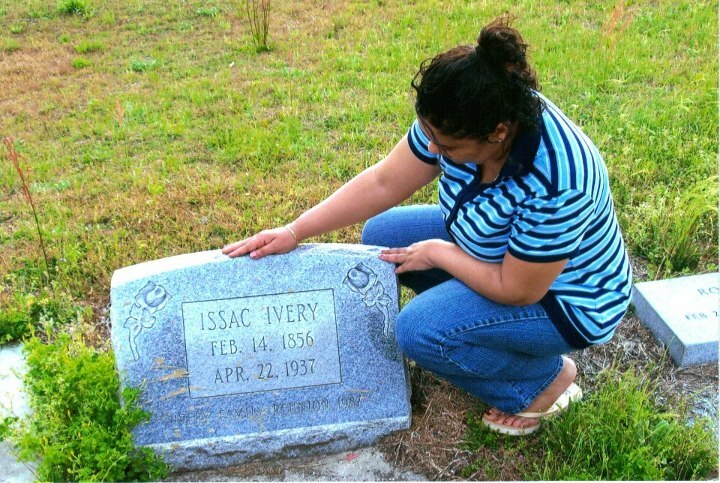 Also his Mother Eddie Ivery Lewis had a brother named Obie Ivery who had no children. Ironic. On March 1st, 1946 my Auntie Lela Belle died, she was just 34 years old. Her and Uncle Obie died within a day of each other. Daddy took charge and made sure he was at both funerals in two days. Going from Birmingham back to Midway. Daddy was always running making sure things where taken care of when it came to times like these, He was in Charge of the Lewis Family. You are truly missed and I wish I could sit and talk awhile with you.